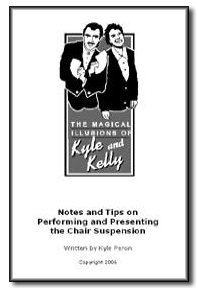 Welcome to The Magical Illusions of Kyle and Kelly Product Site! Welcome to our product site. We strive to be creators of innovative and and informative products that will get you thinking and increase your creativity and income. To learn more about our products or to order them, click on the product image to the left for a full description. New products are being released all the time so be sure to check back frequently for new product news, sales and special events. 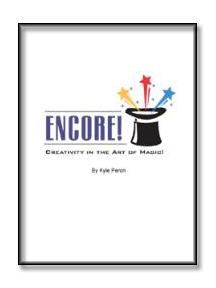 We are pleased to announce the BRAND NEW release of the book "Festival Magic". 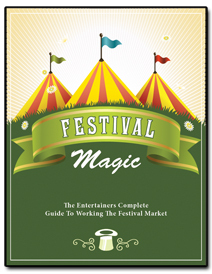 Festival Magic is geared at giving YOU the information you need to enter and succeed in the festival market. 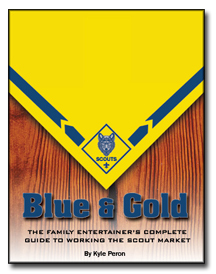 Over 110 pages of information, templates and step-by-step instructions to help you along your journey. Get yours today. Available as a soft cover book or a PDF Ebook. Learn to thrive and dominate a market that anyone can do.